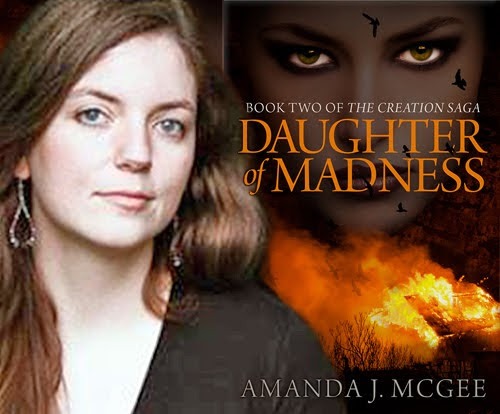 Thank you for joining us on the closing date in the Virtual Book Tour for Daughter of Madness, a Epic Fantasy by Amanda J. McGee (2 June 2018, Amanda J. McGee, 249 pages). This is the second book in the The Creation Saga series. Don't miss our interview with author Amanda J. McGee. 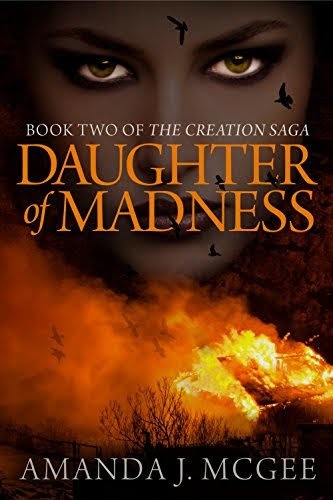 Daughter of Madness is FREE on Kindle Unlimited and Kindle Owner's Lending Library. 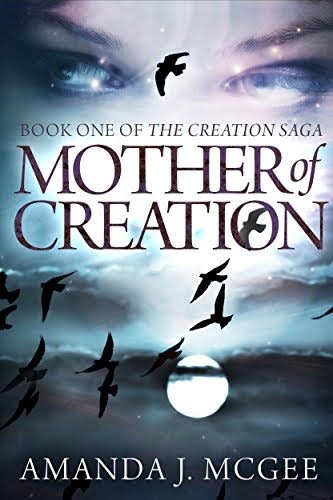 Author Amanda J. McGee will be awarding a copy of both published volumes of The Creation Saga: MOTHER OF CREATION and DAUGHTER OF MADNESS to a randomly drawn USA winner via Rafflecopter during the tour. Please do take part: comment on our post and follow the tour where you will be able to read other excerpts (☀), interviews (ℚ), and guest blog posts (✉). 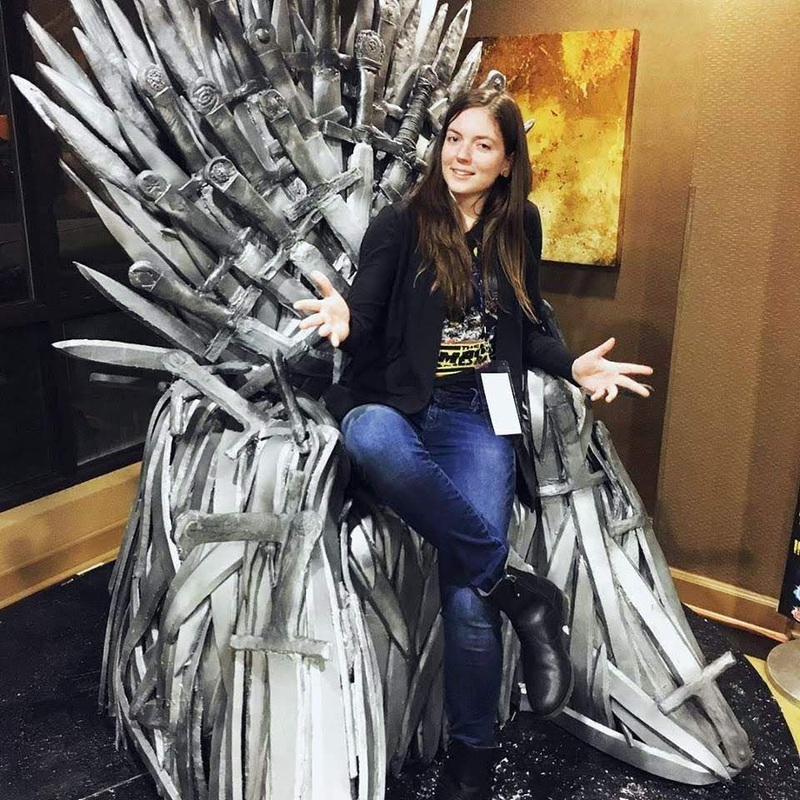 Amanda J. McGee is a fantasy author living in Southwest Virginia with the love of her life, two cats, and numerous plants. Her hobbies include hiking, growing things, cooking, baking, reading, and writing. These last two she attempts to do every day. When in doubt, she believes in consulting her mother. Luckily for them both, she does not always do what her mother says. In general, she believes tea cures all ills. She write books about magical women, women setting things on fire, hacking things up, or otherwise getting violent, women as goddesses and queens. If you'd like, you can support Amanda's writing (The Bramble) by donating to her PayPal or Buying Her a Coffee. If you’d like a more long-term contribution with added perks, she also has a Patreon called Black Roses. Supporting Amanda there gets you access to original snippets of works in progress twice a month. If we get enough supporters, we’ll also get Murder Poems, and eventually she hopes to give you a lovely novella or two. Have questions or want to be on the mailing list? Shoot her an email here. Missed the mailing list sign-up? Here you go.